I don’t know why we didn’t think of it before. We have a page on the website devoted to white aprons. Theater people, reenactment people, and other lovers of our past embrace them mostly. 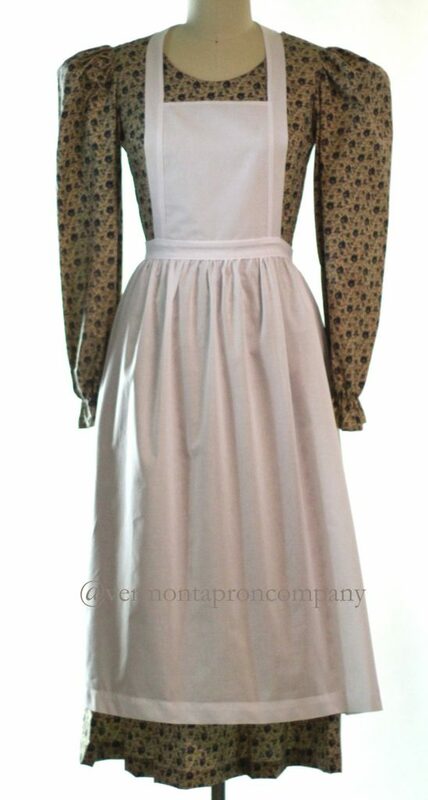 But they so also serve those who look for a traditional apron, whether over a dress or jeans. If you look over the white apron page, the styles are varied but traditional. They are historical in design as well. If you look at paintings of our past, aprons are typically white or ecru. But now it occurred to us that the same aprons may be well done in black. Black batiste, linen and homespun already line our shelves. It’s such an obvious connection, I don’t know quite how how we missed it. So, we have a new addition to our website, entitled Black Aprons. You will find No Ties Aprons in both black homespun and black linen. 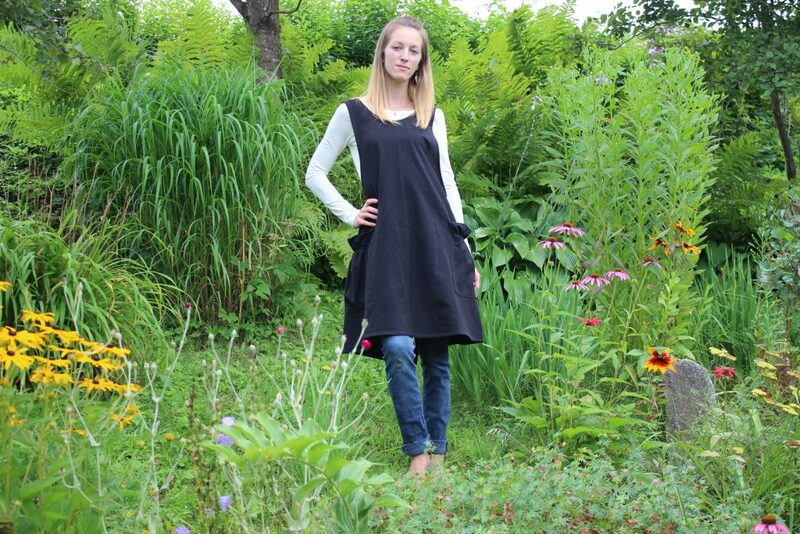 You will also find black batiste in a traditional bib apron and long half apron. I don’t know that anyone in our historical past ever wore black but it feels very classic to me. And more than a few of you have requested them. So they are now presented as a collection on the website. 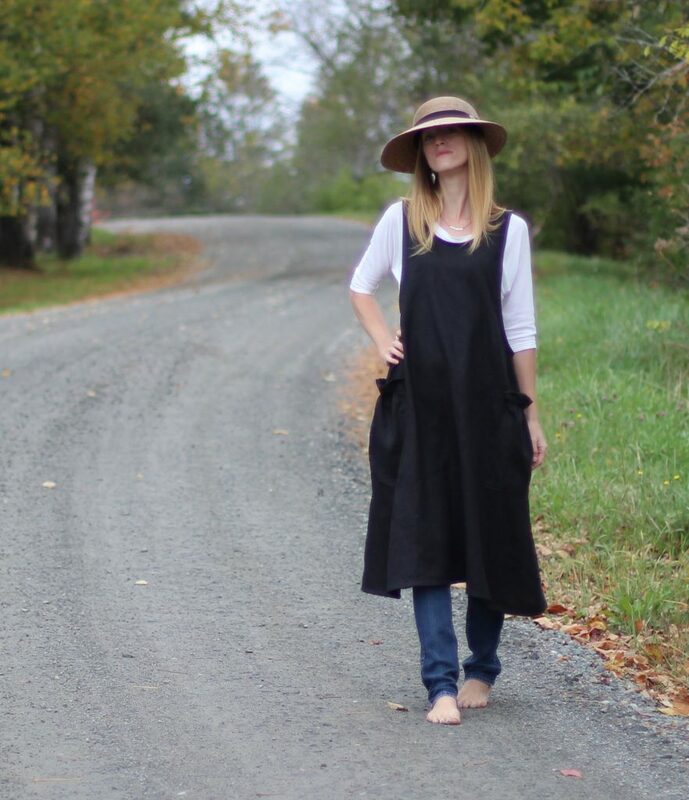 Black batiste is the same soft, thin, delicate fabric that offers a pretty formality to the apron. It drapes beautifully in a thin veil of coverage. The ties make easy bows and can easily tuck in the end of ties replacing the traditional bow. Black Linen in a No Ties Apron serves with great versatility. Pair it over contemporary jeans or a long, vintage calico dress and it will accent the look perfectly. Nothing beats homespun for everyday household work. It is absorbent, drapes nearly as well as linen. It is lightweight to wear. Quite frankly, it’s like being dressed in a feedsack dishtowel, which is perfect for a messy kitchen morning. We will move forward adding to this collection. Any new style added in white, will also be added in black as available.